The system is siutable for all degrees of urinary incontinence, and can also be used after radiotherapy. is the central part of the implant and filled via the port-catheter connection after the operation. 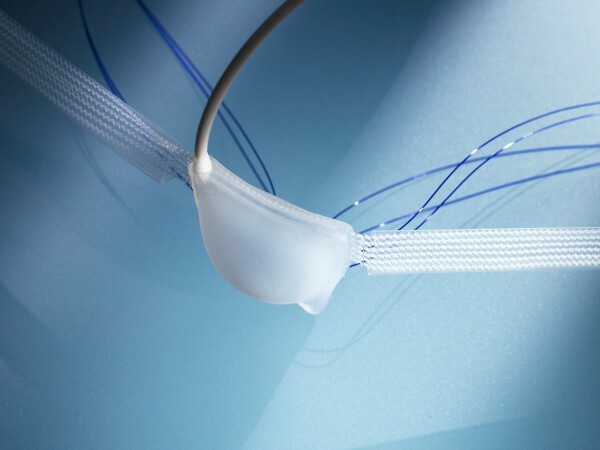 Patient-specific adjustment requires no surgical intervention and can be made at any time to counteract either continuing incontinence or urinary retention. 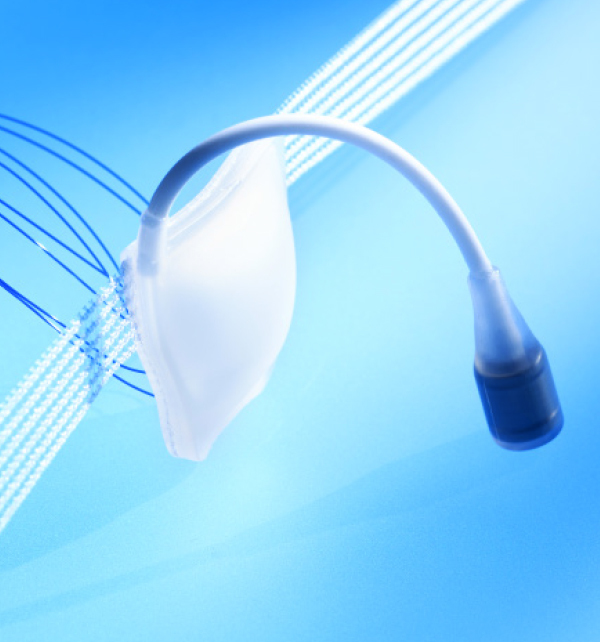 ensures a gentle, evenly-distributed pressure on the bulbospongiosus muscle to reduce the risk of urethral erosion. There is no specific point of maximum compression on the urethra. 4-Point-fixation The integrated mesh arms are drawn back around to the middle of the implant to secure the system in place. This eliminates the need for additional fasteners or screws, and ensures a symmetrical 4-point fixation. 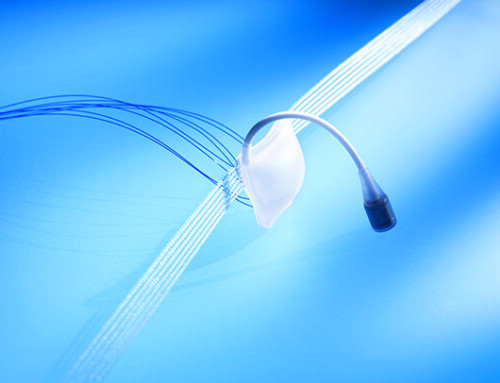 The flexibility… Effective treatment for mild to severe stress urinary incontinence. 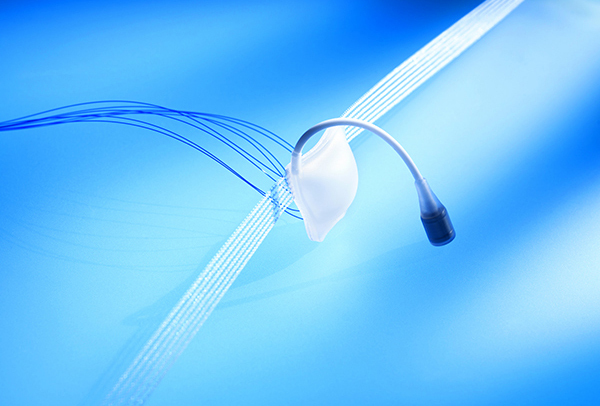 …and the patient friendliness Patients can urinate freely without having to activate a mechanical component. This means the ATOMS System is also suitable for patients suffering from dementia, or whose cognitive skills may be expected to regress over time. Patients with joint pain (e.g. gout) also benefit from not having to operate the system manually. ATOMS is made up entirely of components that function hydraulically. 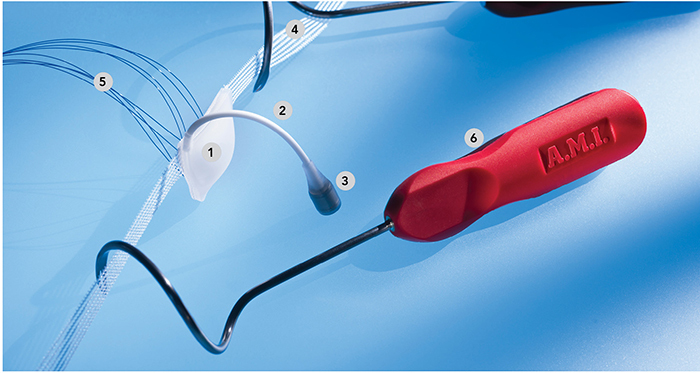 Patients are therefore spared the difficulties caused by defects which may occur in mechanical components months or years after the implantation. 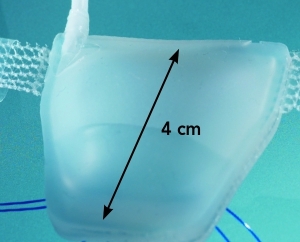 Why a mesh that loops around the inferior pubic ramus? Firmer hold and infection prophylaxis. The ingenious, patented idea of looping the mesh around the bone as a holding structure is worth mentioning. 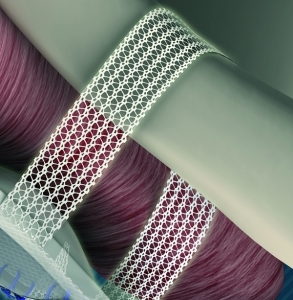 The integrated mesh will be placed around the inferior pubic ramus, which leads to several advantages: The macroporous mesh integrates well into the tissue. 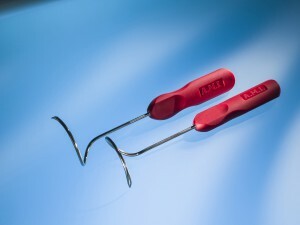 The engraftment leads to an extra firm hold, which is relevant for optimal surgical results. 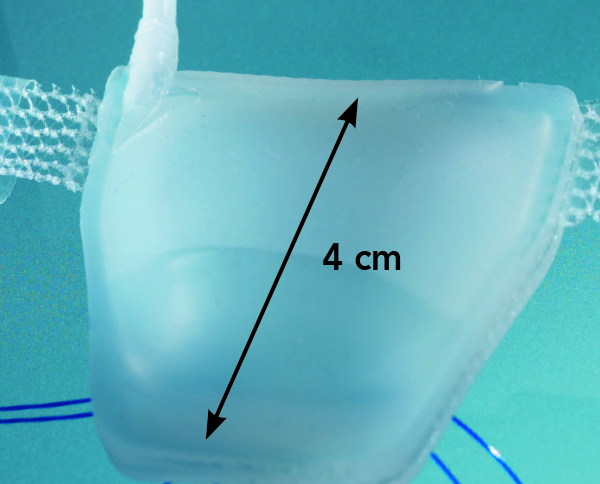 In addition to the firm hold, the macroporous mesh also offers the advantage of reduced foreign body reactions. Tissue ingrowth and revascularization of the surrounding tissue reduce the risk of an infection spreading in the pelvis operatively or post-operatively. Why a large cushion? Atrophy reduction and erosion prophylaxis. 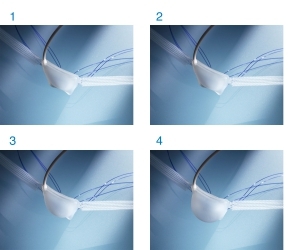 The effect of the implant is simple: The urologist determines the fill volume of the cushion. A compression of the bulbospongiosus muscle, thus indirectly of the urethra, increases the urethral resistance. The contraction of the bladder will make a physiological urination possible, but an involuntary loss of urine is reduced or ideally avoided. The size of the cushion determines the pressure on the bulbospongiosus muscle, and the smaller the cushion, the more punctate the pressure is. The soft compression of the large ATOMS cushion allows a low pressure, and a low tissue pressure leads to low atrophy.Limited tissue atrophy means lower risk of erosion. This was the theory in the development less than a decade ago. Today A.M.I. can proudly announce that it looks like the theory worked out well: In fact only a very limited number of urethral erosions is known to A.M.I. after 10 years of experience with ATOMS, and those few cases were usually associated with a difficult patient situation (e.g. following previous cuff erosion of an artificial urinary sphincter). The distal, suburethral placement of the implant underneath the bulbospongiosus muscle allows for use of the system even after radiotherapy. The symmetrical positioning below the urethra is achieved by a 4-point fixation. The small, pre-attached scrotal port is palpated with ease by the urologist. 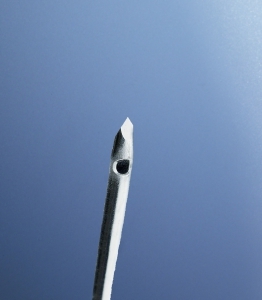 Filling the system with saline solution or emptying it is performed with a simple percutaneous needle puncture. the scrotum during port revision surgery.